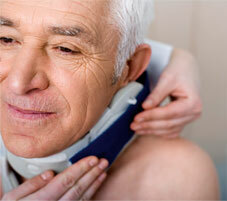 A whiplash injury is more than just a pain in the neck. It can prevent you from moving your head. It can keep you off the job. It can prevent you from living a normal life. Medication and physical therapy can provide relief in certain cases, but these can be costly. If you have suffered a soft tissue injury in a car accident or other act of negligence, help may be available. Radloff & Radloff, P.A. is an experienced law firm that works to obtain compensation for people who have suffered injuries as a result of another's negligence. Call 904.398.2200 or toll-free at 866.451.3211 to arrange for a free initial consultation. An attorney at our firm can evaluate your case, explain the legal process, and discuss how we may be able to obtain help for you. Many people have misconceptions about whiplash and soft tissue injuries. They think that if there is no visible physical damage, then the pain the victim suffers is imaginary or exaggerated. At Radloff & Radloff, P.A., we understand the reality of such injuries and the misery they can cause to those who suffer from them. When clients come to us with soft tissue injuries, we use scientific means to build a strong and convincing case for compensation. The key to success in these cases is to document the nature and extent of the injury using MRI scans, nerve conduction tests and other medical tests performed by physicians and medical professionals. Our lawyers have worked with numerous medical experts in these cases. We know how to interpret these test results and make a strong and persuasive case during negotiations with insurance companies. Radloff & Radloff, P.A. will work to obtain all of the compensation you need to cope with the symptoms of your injury. For a free initial consultation, call toll-free at 866.451.3211 or send us an e-mail. We represent clients in the Jacksonville area and Northeast Florida. Because we emphasize personalized service, you will deal with our attorneys directly.